Church or Civil Devon Wedding? Up on a hill, just a 3 minute walk from the Barn is the picture perfect St John the Baptist Church, and a number of our clients marry there. We also have a license for civil ceremonies in the Barn – so the choice is there. Often a difficult one! 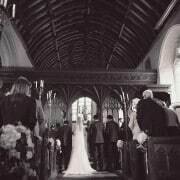 https://thegreatbarndevon.co.uk/wp-content/uploads/2015/07/Church-Wedding-Devon.jpg 540 810 Emma https://thegreatbarndevon.co.uk/wp-content/uploads/2016/02/the-great-barn-header.png Emma2015-07-22 09:17:462016-07-02 08:43:22Church or Civil Devon Wedding?